The Equal Employment Opportunity Network was established in 1988 to support EEO practitioners and employers in Victoria. EEON is a not-for-profit organisation whose members pay an annual fee that includes attendance to most events and webinars. For almost 30 years we have been delivering networking, information-sharing and training to people and organisations committed to promoting and building diversity and inclusion in workplaces and the wider community. We are passionate about making a change for the better, and aim to be a forum for anyone interested in issues of diversity, inclusion and equal employment opportunity. Our fast-growing membership includes individual specialists in diversity and inclusion practices, small to medium enterprises, not-for-profit organisations, government agencies, large corporations and students. We encourage all members to attend and actively contribute to our networking and information events and webinars and to share expertise, experiences and challenges in our diversity and inclusion community. We know that together we can help create a fairer and more equitable society. Our mission is to help all organisations prosper by employing and engaging a diverse workforce. 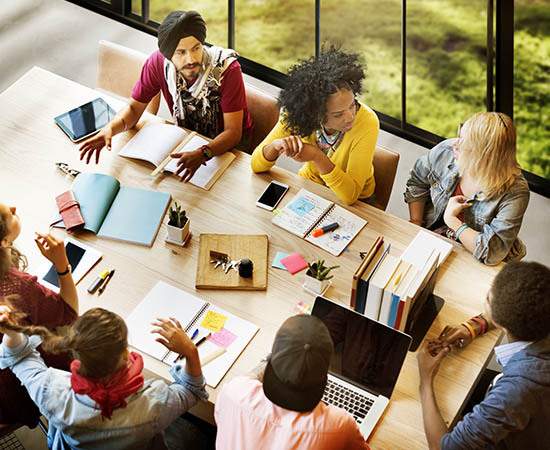 The Equal Employment Opportunity Network creates opportunities for professionals to learn, network, share their expertise and experiences and showcase examples of best practice in diversity and inclusion in the workplace, including emerging diversity issues. We encourage all members to provide feedback and suggestions for future events and webinars, and speakers. As a not-for-profit organisation, we aim to serve our membership by minimising fees and maximising benefits. EEON has an active Executive Committee of experienced practitioners that meets regularly. The committee members are drawn from the current membership base and provide a diversity of industry perspectives. Roman Ruzbacky is an experienced diversity manager and practitioner and a former analytical chemist who worked for a large scientific research organisation and in the tertiary education sector. He has extensive experience in dispute resolution and facilitation, as well as in designing, implementing and mainstreaming diversity and inclusion strategies. He has completed ten successful WGEA Employer of Choice for Gender Equality citations for three organisations, and has developed diversity surveys and strategies that focus on mainstream employment situations and intersectionality. At the core of the work is the belief that people should be treated with dignity and respect and have the ability to participate in all aspects of work and public life. Diversity and inclusion needs to be a lived and breathed experience. Roman is a seasoned and passionate practitioner who delivers results and takes people with him on the journey to raise diversity consciousness and competency. Diana Hewitson has been an active advocate for Diversity & Inclusion throughout her career. Having led workplace diversity projects, within her Talent Services and HR career, and more recently in a dedicated D&I role, Diana has been pivotal in leading change throughout a broad range of industries across corporate Australia. Deeply passionate about workplace inclusion, Diana has been an active member of various D&I Executive Committees and Projects, including the EEON major event committee for the 2018 Summit. Diana is delighted to continue her work as a change agent and strong advocate for D&I in her role as Vice President for EEON. 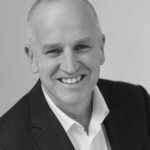 As a business leader, Tom Brockhurst has been working with organisations and individuals for almost a decade providing consulting and services for companies navigating organisational change. His experience in executive coaching, leadership development, and career management has assisted businesses develop internal leadership capability, and individuals achieve their full career potential. Having worked with many organisations of all sizes and industries, Tom brings to the table first hand experience of the importance of networking as a critical leadership capability. 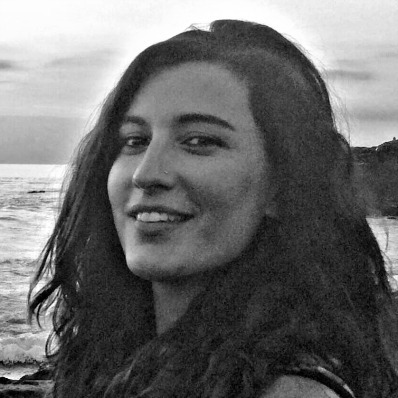 Ashley Samson works as an Inclusion Consultant with Australia Post, and has discovered that her lifetime passion for gender equality in fact expands to creating a better life for all. She’s fortunate to work across the organisation’s focus areas for gender, LGBTI+, cultural and linguistic diversity and people with a disability. Favourite projects have included creating the virtual tour for the Midsumma and Australia Post Art Prize to increase accessibility and reach to all Australians, and leading the internal female development program ProjectMe, helping women to reclaim their confidence to live the life they want. Tamara is a highly experienced HR professional and Diversity and Inclusion trainer who has held senior strategic roles over her 19-year career. Commercially astute in change management and stakeholder engagement, Tamara has worked across many organisations in blue chip, government, health care, not-for-profits and SMEs across the UK and Australia. She is highly passionate about Gender Equality; Women on Board Leadership and also specialises in coaching organisations in Intersectionality, Cognitive Diversity and Unconscious Bias’. She is a member of a number of boards in the UK including Promediate UK and Equilibrium Consulting. 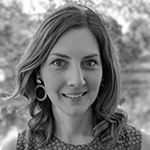 She is an AHRI Australian HR Institute Mentor, a member of MAHRI , an active member of the UK Chartered Institute of Personnel and Development (CIPD) as well as a Graduate member of the British Psychological society (BPS). She also supports a number of children’s charities. 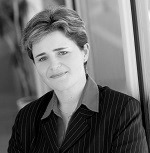 Jill is a human resources professional with expertise in strategy development, program design, management and implementation, diversity and inclusion, equal employment opportunity, change management and general human resource consultancy gained within a range of sectors including resources, telecommunications, education, health and emergency services. 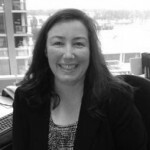 Alice is a lawyer in the Workplace Relations & Safety Group at Lander & Rogers. 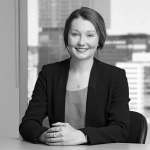 She works with both public sector and private clients on a broad range of litigious and non-litigious workplace relations issues. These issues include advising on workplace discrimination, enterprise agreements, employment contracts and disputes in the Fair Work Commission. 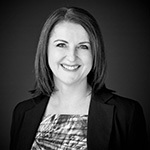 She has recently been involved in a dispute before the Fair Work Commission about the types of discrimination that are relevant to the enterprise agreement approval process. June Parker joined EEON early 2013 and was elected to the office of Vice President shortly afterward. From 2014 – 2017 she held the role of President helping to bring about significant positive changes and our first ever Conference. She then supported EEON through the role of Vice President from 2017-2018. Now as a committee member, June is still as passionate about diversity & inclusion as ever. 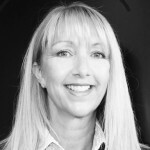 June is owner and Director of Selection Partners, a talent consulting firm, which works with organisations to recruit, develop and transition their talented people. June provides executive coaching, leadership training and outplacement. Selection Partners proactively encourages their clients to embrace diversity & inclusion in both their hiring and development practices. 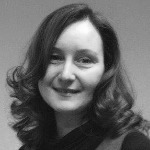 Fiona is a Fellow of the Chartered Institute of Personnel and Development (UK) with 25 years of experience in senior management, organisation development and human resources. She is a trusted Diversity & Inclusion sponsor, advisor and role model. She has been working successfully with senior executives to influence, develop and drive the D&I and gender equality agendas in the workplace - at Jacobs (global engineering and design consultants) and collaborating across the industry, and wider D&I networks, to share her experiences and knowledge to accelerate change. Adrian Price has a diverse background, having worked in education, healthcare, banking, consulting, marketing, IT and in community not-for-profit organisations. He has qualifications in nursing, project management, data management and analysis, and experience in managing operations of community organisations and groups. 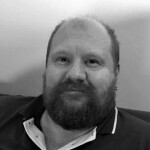 Adrian has worked in the Equity and Diversity team at Deakin University, where he had a particular focus on LGBTIQ issues and improving the experience of the LGBTIQ staff and students. He has a particular passion for mental health and workplace training. Lisa is a Social Worker who has had 17 years experience in the field of equal opportunity, Working alongside minority communities to address marginalisation, social disadvantage, racism and discrimination, and policies which promote oppression of Australian communities. She has worked in the corporate sector as well as in the fields of multiculturalism, disability and youth and family services and brings with her experience and knowledge working in community, welfare, local government and the education sectors. Lisa is also a diversity advisor for the Australian government. She has also travelled through Asia and the Middle East working with human rights organizations promoting cross cultural exchange, education and understanding of human diversity. Would You Like to Join EEON? Be part of the change you want to see in your organisation and help us work towards a future that involves everyone.